Everything started at 8:30 in the morning setting up the event and soon after the arrival of the participants, families, kids and our volunteers. 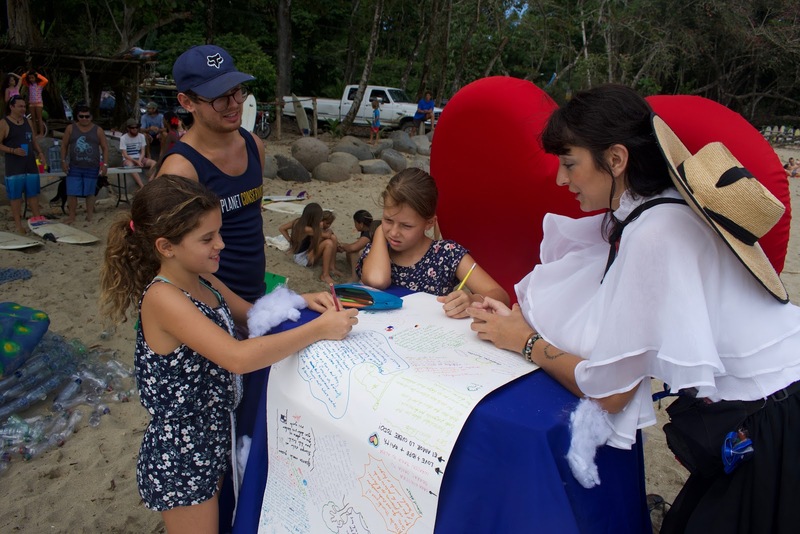 The event was organized around the “King of the Surykat’s” a free surf competition for surfers 12 and under, which the kids from the club were really excited to participate in. 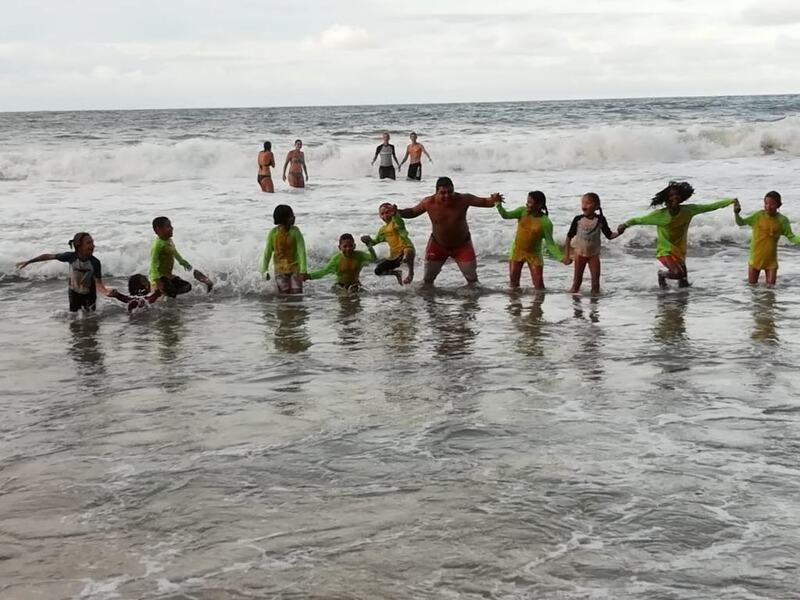 The same week we had a free surfing class with “Surf Med’s Caribe’s” owner Naima, where the kids could learn or improve their surfing skills, in anticipation to saturday’s event. 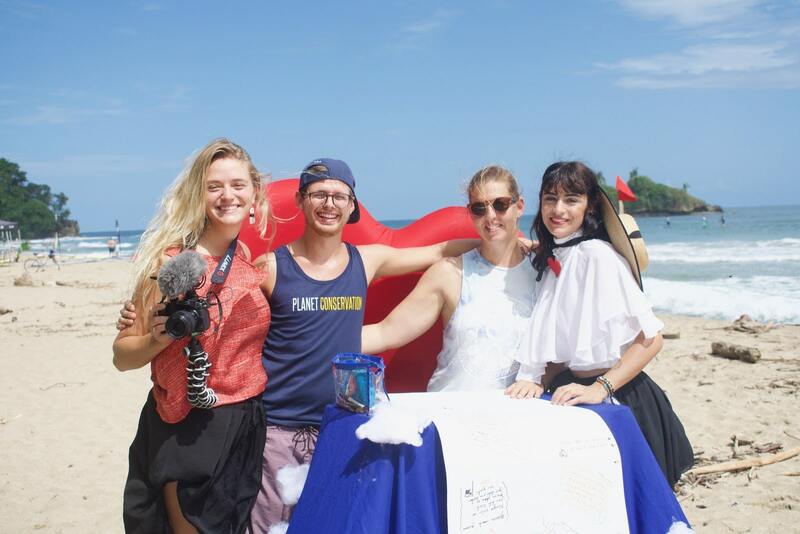 Cocovan, a french artist with a project called “World Letter” was also part of the event and did her performance installing her letter on the beach where everyone could write their love to the world. 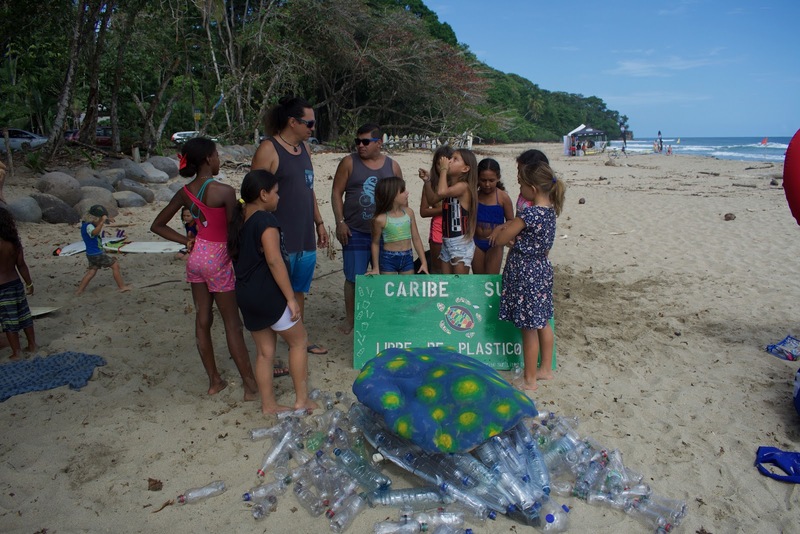 With Planet Conservation we also enjoyed the opportunity of this event to make some environmental sensitization about our campaign “Caribe sur libre de plástico” against single-use plastic in the caribbean and Costa Rica. 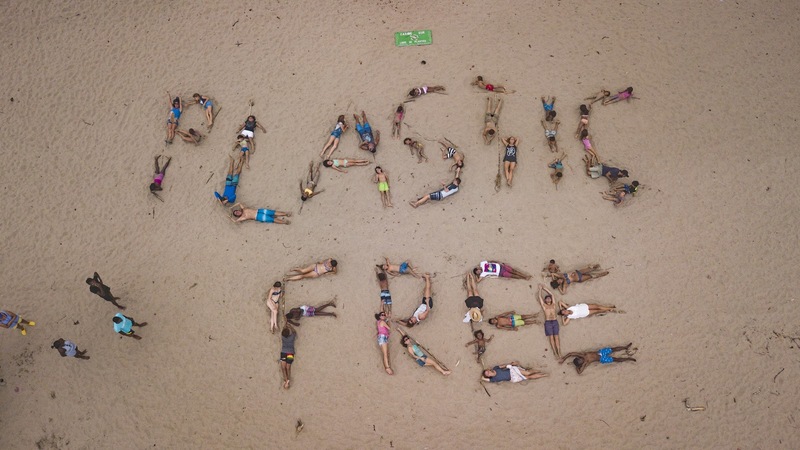 We were happy to bring our transportable sorting wagon, a plastic turtle made by kids, and to take a aerial group picture of the words “Plastic Free”.